My fiancé loved this watch.. can't beat it for the price! 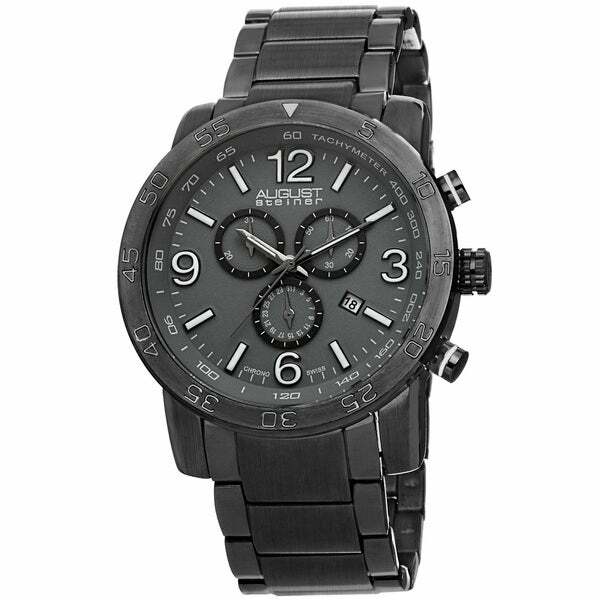 This August Steiner men's Swiss quartz timepiece displays a sporty design that is sure to impress. The tachymeter and chronograph features make this timepiece an ideal accessory for your lifestyle. Gave this to my husband for our first wedding anniversary. We paid to have it sized at a jeweler only to have it break two days later! !